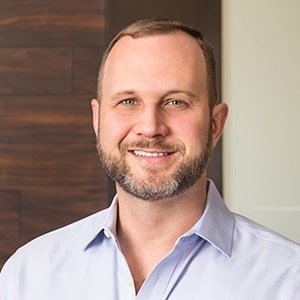 Greg Zolkos founded Atlas Professional Services in 2006 with the intent of providing IT services to companies of all sizes across the United States. Since 2006, Greg has built the business to a level that now services more than 500 customers and has seen minimum year-to-year revenue growth of at least 25 percent. With Greg’s proven track record in IT, business management and entrepreneurship, his on-going goals for Atlas will be to sustain the remarkable level of prior growth and success, and remain the first choice for IT and managed services in the Tampa Bay area and beyond. 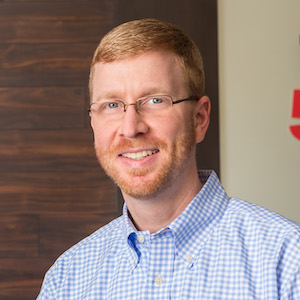 Adrian Swaim joined Atlas Professional Services in 2013 with the goal of overseeing all financial aspects of the business including financial modeling, performance analysis, budget development and administration, and to drive tactical initiatives including new business development and acquisitions. His primary areas of expertise include management of corporate accounting records, ensuring conformance with GAAP and ability to meet the requirements of governmental agencies, SOX compliance, audit controls and risk mitigation. He brings a proven track record in varying areas of mergers and acquisitions. Adrian’s focus at Atlas, along with the CEO, will be the future growth of the business through organic business development as well as acquisitions of similar businesses. Prior to joining the team at Atlas, Adrian held financial management positions at several firms, both public and private. He had an integral role in the process of a reverse merger to take As Seen On TV, Inc. (ASTV) from private to public, as well as the principal role in the corporate merger with eDiets.com, Inc. and project leader for business and technology integration, expense reduction roadmaps, and post-merger analysis. Adrian worked closely with teams of investment bankers to raise $28.5M in working capital via multiple private placement transactions at ASTV. Additionally, he has extensive knowledge of public company reporting requirements and ensured timely reporting of these documents with the appropriate government agencies throughout his career. 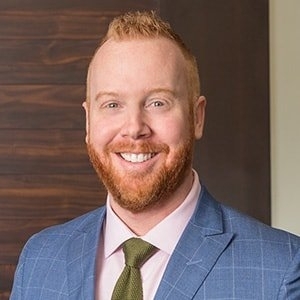 Adrian holds a master’s degree in accounting from Stetson University as well as a bachelor’s degree in Accounting from Colorado State University. He also holds an A.A.S. from Wake Technical College in computer science. Adrian believes that community involvement is an important aspect in the life of any local business executive and has committed his time to various charities and organizations including The Humane Society of Hillsborough County, Habitat for Humanity, The Great American Cleanup and All Children’s Hospital in St. Petersburg. Stewart Collins joined Atlas Professional Services in 2012 as a Solutions Architect, with the goal to help the sales team in the customer pre-sales process and strengthen the depth of IT solutions that Atlas provides to its customers. With more than 15 years of experience, his areas of expertise include systems engineering and design, network assessment deliverables, consulting and full turnkey solutions, as well as project delivery of a variety of IT system implementations. Now serving as CTO, Stewart acts as the lead technology architect and provides strategic guidance over internal and external IT operations. He works to streamline our business processes and enhance the company’s product offerings, with a focus on delivery of Atlas best practices. Prior to joining Atlas, Stewart was a Senior Systems Engineer with another Tampa Bay IT services company, working with the latest technologies in networking, security, virtualization, and backup and disaster recovery. He was primarily responsible as a senior technical lead on project deployments, as well as performing in-depth client network documentation and recommendations assessments. Stewart received a Bachelor of Business Administration degree in Business Information Systems from Mississippi State University. He has lived in the Tampa Bay area since 2001. A regular supporter of local charities, Stewart particularly enjoys participating in events that raise funds for the local Sheriff’s Offices. 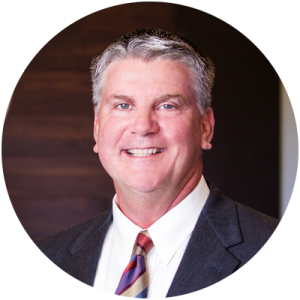 Terry Kincaid joined Atlas Professional Services in 2009 with the goal to increase sales and further strengthen its long-term business development strategy. He works with business owners and provides them with the knowledge to make the right decision when procuring their voice and data services. Terry utilizes his years of project management experience to take care of day-to-day telecom projects. With more than 30 years of experience in sales and consulting in the Tampa Bay area, Terry networks and develops referral partners. Through these relationships, he helps promote the company, and Atlas has experienced successful growth. Prior to joining Atlas, Terry held a sales/consultant position with a local telecom company for 13 years. Initially, he sold telecom services and hardware to end users. While there, he was promoted to operations manager and was in charge of all telecom installations and hardware procurement. This position enabled Terry to master the industry’s best practices in the telecommunications field. He has a wealth of knowledge that is used every day when supporting Atlas’s clients. Terry received a Bachelor of Science in business administration and a minor in management information systems from the University of South Florida. He has lived in the Tampa Bay area for more than 44 years. While building his many business relationships, he has a very strong networking background and is currently the vice president of the BUCKS Business Network in Pinellas County. Terry believes in giving his time to charitable events and giving back to the community. Linda Kraft joined Atlas Professional Services in 2012 with the goal of helping to provide guidance on process improvement and centralized documentation as Atlas continues to maintain its impressive growth rate. Her primary focus has been to implement and maintain a new Professional Services Automation (PSA) and Remote Monitoring and Management (RMM) system to track client ticketing and device management. She has also implemented a Dev Ops Team focused on continued integration of the PSA and RMM systems and automation upon user endpoints. Prior to joining the team at Atlas, Linda was the Director of Information Technology at The Camelot Technologies Group, Int’l, a longstanding global provider of electrical power generation equipment and engineering services headquartered in Auburn, AL. 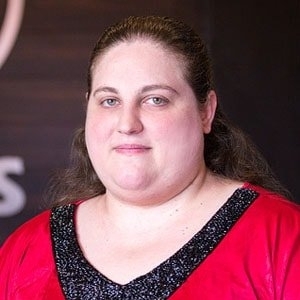 She was responsible for the network infrastructure and end user support of 100-plus employees across multiple locations in Alabama, Florida and Maine. Additionally, she handled inventory control, database management and oversaw the Web Development team. Linda received a Bachelor of Science degree in Computer Science from the University of Florida in Gainesville, where she lived for 10-plus years. (Go Gators!) While in Gainesville, she spent many years volunteering with Haven’s Hospice Attic, a non-profit focused on compassionate care for patients with life-limiting illnesses and their families. She has lived in the Tampa Bay area for the last 8 years, and is an active donor to Hope Children’s Home in North Tampa. Kim Shimer joined Atlas Professional Services in 2016 with the goal to focus on continued customer satisfaction and further strengthening productivity and team efficiency among internal and field technical resources in the areas of Service, Field Dispatching and Projects. Her primary areas of expertise have been in leading Telecommunications and Data Industry Sales, Marketing and Operational responsibilities for over 29 years. As a result, she brings an abundance of experience in Service and Project Management working as Engineer Liaison, Sales Liaison, Service and Team Lead Point of contact for proficiency and resolution. 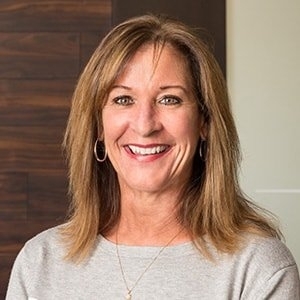 Prior to joining Atlas, Kim served as VP of Operations for Republic Voice & Data for 12 years where she was responsible for Service and Operations Management and Overall Profitability of 25% growth annually. She worked with a team of highly professional individuals and was responsible for the overall success in delivery of VOIP solutions, Partner Support solutions and Services by implementing subject matter experts in the field of Voice and Data. Before her position at Republic Voice & Data she received additional experience in responsibility with Vanstar which included working with Consultants, Project Managers, and Engineers. Her focus was to review scope and build a team to deliver high level technology data solutions to Fortune 500 Companies. Kim is currently a member of the Project Management Institute of Tampa Bay. She received her Bachelor of Science degree in Business from the University of Rio Grande. While attending the University, was also presented with the prestigious Newt Oliver award for top athlete of the year and has been inducted into the Athletic Hall of Fame as both an individual and team. Kim is committed to the Tampa Bay Community in many ways and regularly supports by volunteering and attending various functions in the Tampa Bay area throughout the year. Among these are Relay for Life, Animal Warriors and the Children’s Cancer for Research Fund which holds the Great Cycle Challenge charity that continues to raise the bar each year.